Wheely, a service that provides personal drivers has been running successfully in Moscow and was recently introduced in London. The service allows to easily book a personal driver via the website www.wheely.com or its iPhone/Android/ WP8 mobile app. What truly sets Wheely apart from all the competition is the fast response to bookings, premium-class cars, instant fare calculation and automatic billing. If you're looking to make a lasting impression, Wheely is the service to use. 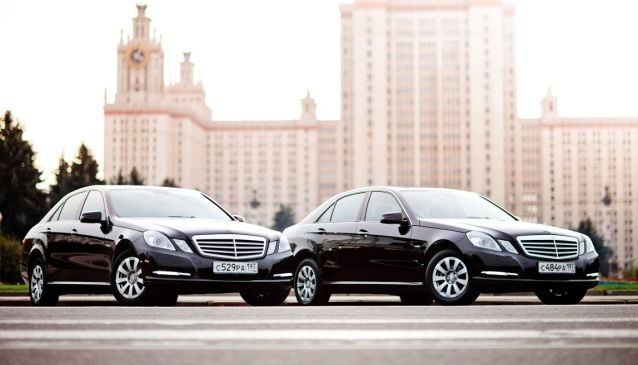 With our unbranded (and free of taxi signs) Mercedes-Benz cars and well-mannered chauffeurs dressed in suits, Wheely is perfect for any occasion be it a business meeting, a night out or an after party. The company's well-thought and convenient service allows passengers to make as many en route stops as they want without a necessity of paying drivers cash and worries about the rates. At the end of you journey a driver will open a door for you, leaving you with a feeling as if it was your personal chauffeur. Immediately upon arrival the fare is automatically calculated and withdrawn securely from your credit card. As it is very common on the Russian taxi scene for drivers to use the 'lack of change' as an excuse to charge more money, you will find the Wheely's No-cash-in-hand technology especially useful. There is nothing in the Wheely's service that resembles a taxi and will definitely leave your group impressed. The Company also provides airport transfers and smart Viano vehicles for larger groups.